The word Chai actually means tea in English and Russian. 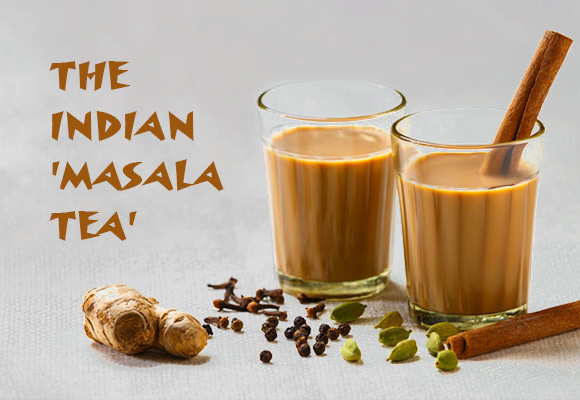 In India, it is also known as Masala Chai. More appropriately, it means spice blend. Tea has become a daily part of Indian life. It is now a key element of our culture which has spread throughout the world. Masala Chai is an everyday drink in most parts of India. It is common for Indians to delight themselves with 2 cups of it per day. In almost every street corner and even office space, you will find a Chai Wallah (tea vendors) who prepares this traditional beverage. They prepare this rich Masala Chai over an open fire in small stands and stalls and serve it in clay tea cups called Kullarhs. Well, you can prepare it yourself! This may be the right tea for you, to give you the strength and energy during the day and to take you on an amazing ride through the world of Indian tea. Let’s prepare it together! 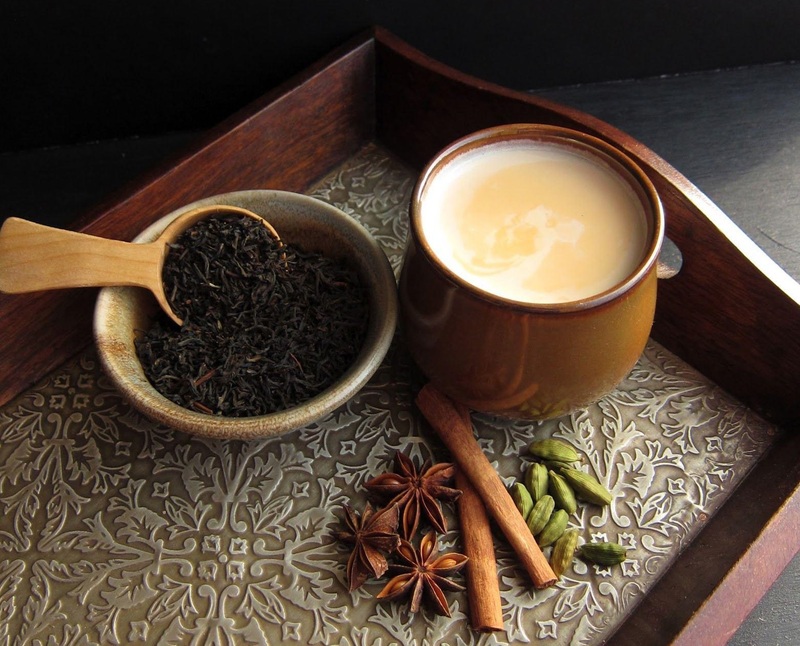 Have a look at our Masala Chai benefits, recipe and get your ingredients ready. Improves Digestion: The spices used in Masala Chai help in regulating the digestive system. It also helps in keeping your gut healthy. A spice like Ginger aids digestion by improving circulation and delivering oxygen to organs so they can perform optimally. Supports the Immune System: It is known to strengthen the immune system and keeps common infection at bay. It helps provide relief when infected with common cold and cough. Improves Heart Health: Cinnamon, one of the main ingredients in Masala Chai, helps lower bad cholesterol and blood pressure. Drinking Masala Chai can prevent cardiovascular disease when consumed regularly over long periods of time. Relieves Aches and Pains: The spices found in Masala Chai can alleviate common aches and pains. These health benefits derive from the anti-inflammatory properties of many of the ingredients in it, specifically ginger and clove. Reduces Nausea: Spices like Ginger and Cardamom are well known for their ability to reduce nausea and seasickness. Masala Chai soothes an upset stomach and alleviates stomach pain associated with nausea. Boosts Energy: It is a wonderful experience having a hot cup of ‘Masala Chai’ after a hard day’s work. Caffeine is a natural stimulant in Masala Chai which boosts energy and gives you the kick which you need to start your day. Boosts Metabolism: Tea is known as a heat generating food in Ayurveda. It helps speed up metabolism. Ingredients like ginger, clove, black pepper and cardamom helpincreaset loss and increases the metabolism of the body in a short period. Contributes to Reduce Sugar Levels: Ingredients used in Masala Chai such as clove, cinnamon, and cardamom helps in preventing diabetes by increasing the insulin sensitivity of the body and lowering one’s blood sugar levels. Relieves PMS: It can be your best friend to fight the symptoms of PMS the natural way. Ingredients like ginger, clove, and cardamom work as natural painkillers when you are experiencing period pains. It calms your nerves, keeps you in a good mood and relaxes your muscles. Your Masala Chai is ready! A common myth is that green tea has more health benefit than black tea. This is simply not true. It is because all tea (Black, Green, and White) comes from the same plant, Camellia Sinensis, they offer the same benefits. The spices which we have used in our Masala Chai are well known in Ayurveda for many health benefits. Star Anise aids digestion, alleviates cramps and reduces nausea. It also helps in preventing constipation, supports good sleep, promotes bone and skin health. So, add the ingredients mentioned above in your regular tea to make it a complete Indian Masala chai. 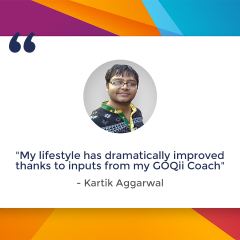 Do share your experience in the comments below! Today is Pizza Day! While indulging in this forbidden treat can be a sin for those who are on their way to being healthy and fit, there are some who just can’t resist. 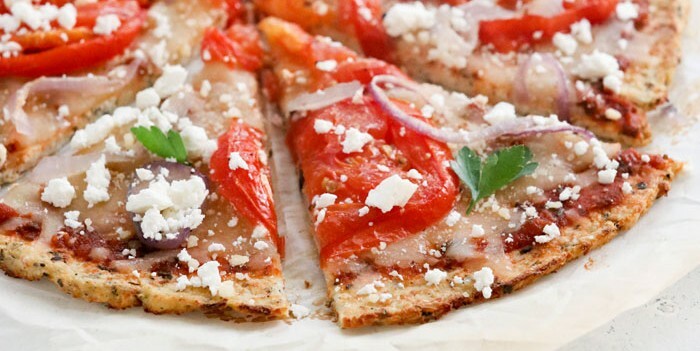 If Pizza Day is your excuse to cheat on your diet, why not make it healthy by treating your body and your soul to these 4 Healthy Pizza Recipes? Mix them with a spoon and bring them together with your hands (You may have to wet your hands a bit). The easiest recipe ever made! Bake them in the oven or you can pan fry it for a healthy and delicious treat! This might seem like a bad idea until you taste it! A must try for anyone who loves their veggies! If you are traveling, you can try to make your pizza as healthy as possible. 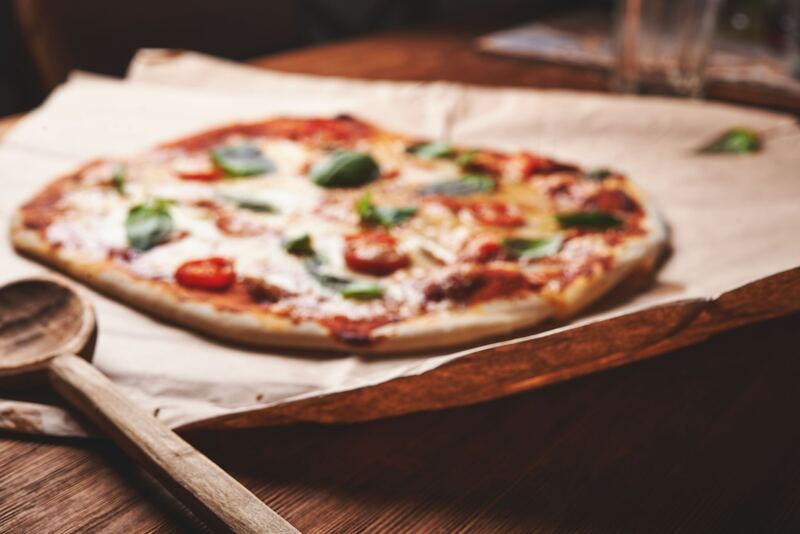 Opt for a thin crust wheat base and make it wholesome by adding healthy toppings such as sun dried tomatoes, olives, bell peppers, grilled chicken or seafood. Avoid bacon, pepperoni, sausages or any toppings such as these to avoid excess saturation of calories. Ask the chef to add minimal cheese on your pizza. There you go! 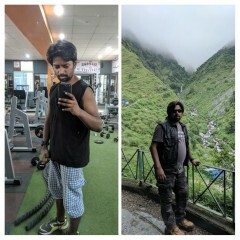 Live long and eat healthy! 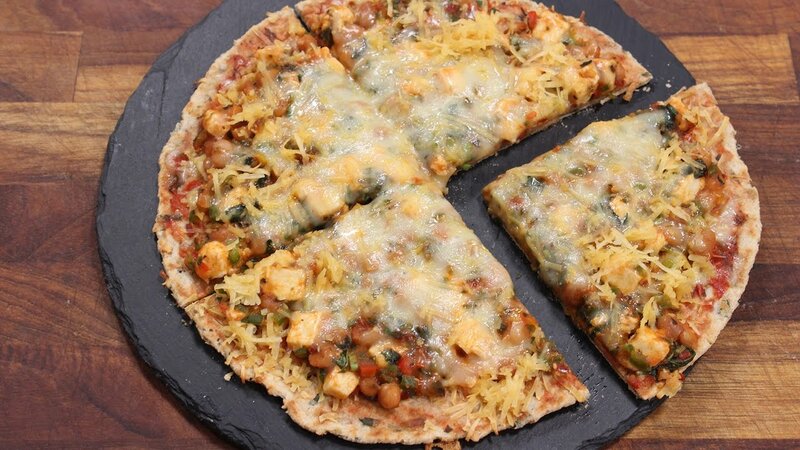 Do you have your own special way of making a pizza healthy? Share your awesome recipes with us in the comments below! Your Favorite Recipes – Made healthy! I’m a Foodie, Can’t do without good food. I also love to cook! And keep trying out yummy Recipes at home. 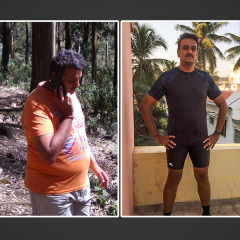 My close friends and family mock and complain,” you’re a ‘dietician’ and you keep feeding us Fattening food”. Before I share a list of healthy versions of a few rich or ’fattening ‘recipes, let me share a story. The first time I tried out a whole wheat pizza crust, I might have been 17 or 18, and all excited! And announced it to the whole house that the pizza we are eating today is healthy pizza with whole wheat crust. 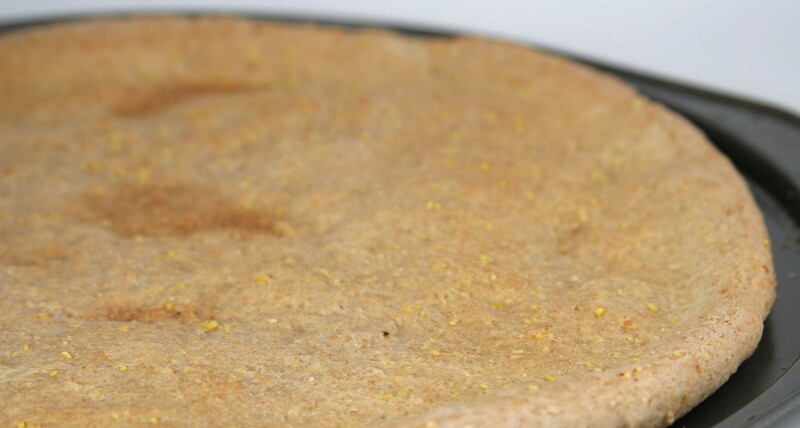 Result – A lot of complaints about the crust being too dry and chewy, No-taste etc. And, I was asked to stick to the old recipe with refined flour, for the next time we have pizza. When that next time arrived and I made a Pizza, I just informed all that I stuck to the old refined flour recipe, the way everyone likes it. I didn’t get any complaints and everyone enjoyed the yummy pizza (the fact, however, was that it was made with whole wheat). Moral of the Story – If you tell your audience, you have cut the cream, or fat or used healthier ingredients, more often than not, they already have a mindset that we are going to have tasteless food today. Starting with the finest, let’s start with identifying what’s healthy and what’s not in the recipe. I personally consider biryani a healthy dish to start with. An excellent combination of proteins (paneer/chicken/mutton) with rice. Hence, balancing out your only rice dish. Seasoned with the best spices in your pantry, each with its unique benefits helping in the digestion of your meal apart from adding flavour. And usually combined with a good quantity of curd based salad, so you do not have to worry about your fibre and veggie intake either. So what’s wrong? Except for the oil content, I cannot think of much. Next question – where is the oil? Answer- In the fried onions!! Every biryani recipe has fried onions amounting to the same quantity as the chicken/mutton. So if you are making biryani with 1 kg chicken you have to add 1KG FRIED ONIONS. How then do you make this healthy? – take 1 kg onions, slice and fry 3 onions from this and grind the rest to a pulp. Heat 2 tbsp of oil and cook your onion paste – this requires patience and can be done a day ahead. Keep cooking and stirring your onion paste till the water is dry and it starts turning brown. Keep a handful of your fried onions aside for garnishing and grind the rest to a paste. Add the fried onion paste to the rest of your browned onion paste. And voila!! You have 1 kg of fried onion paste to add to your chicken, cooked in less than the oil you would otherwise require. This tip can be used for gravies requiring fried onion paste too, such as kormas. Who doesn’t like nuggets? 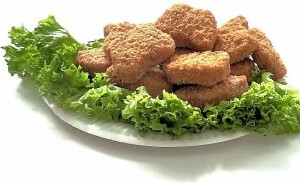 Especially kids, serve them a plate of nuggets and you are their best friend forever!! So what’s wrong?? My answer nothing and everything. Buy a pack of frozen nuggets or an order of McNuggets. And, you are feeding your kids questionable meat fried in questionable oil and seasoned with a variety of chemicals and preservatives. Prepare a plate of chicken nuggets from scratch, with fresh meat and love and you are offering your kids a healthy, high protein snack! Chicken breasts, cut into slices. Flatten your chicken breast a bit with a meat hammer. Cut into nugget sized pieces. Season with salt and whatever other spices you like, I like to season mine with herbs and garlic. Add 2 tbsp. of Corn flour to the chicken, coat each nugget with bread crumbs. These can then be stored in your freezer or fried right away. They just need to be shallow fried in a skillet and don’t need any deep frying. Butter chicken has an added generous dollop of butter on top. My recipe called for frying marinated chicken and then shredding it. I just grill/broil the chicken in the oven instead. My recipe calls for 150 g of fresh cream, which I substitute with either milk or thick buttermilk. If I’m in a festive mood, I add 1 tbsp of fresh cream to 150 ml of milk (Small indulgences are always allowed). Make sure to remove your gravy from the flame after 30 seconds of adding the milk/buttermilk, as this will otherwise curdle in the gravy. Let’s end with where it all started. 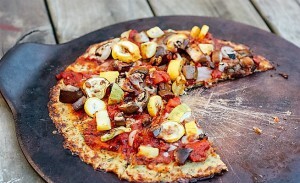 My healthy whole wheat Pizza base!!! Dissolve the sugar in the lukewarm water. Mix the yeast in it and keep for 15 – 20 minutes in a warm place. Mix all the dry ingredients. Add the wet ingredients, including the yeast mixture, mix with a spoon, and bring together with your hands, you may have to wet your hands a bit. Keep it for proving in a warm and dry place, for 2 hours. The dough will have expanded to double or more volume at this time. Punch it down once and shape into balls. Roll each ball and flatten to make a thin pizza base. If you want to pre-bake the base, bake at 200°C for 8 minutes.in a preheated oven. If you are making the pizza directly, then add the desired toppings and bake at 200°C for 10 – 15 minute. The same recipe for bread can also be used for other recipes like rolls and buns. What are you waiting for? Rush to the kitchen to try your hand at these delicious yet healthy recipes. Makar Sankranti is one of the most auspicious days for the Hindus, and is celebrated in almost all parts of the country in myriad cultural forms, with great devotion, fervor & gaiety. On Makar Sankranti, the sun enters the sun-sign of Capricorn or Makara (Hindi name for Capricorn). The word ‘Sankranti’ signifies the movement of the sun from one zodiac sign to another. Thus, the name of the festival literally means the movement of the sun into Capricorn. From this day, the duration of the day increases and that of the night decreases and winter recedes, paving the way for summer. Millions of people take a dip in rivers like Ganga Sagar & Prayag and pray to the Sun god. 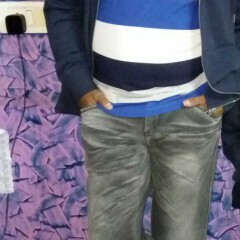 It is celebrated in southern parts of the country as Pongal, and in Punjab is celebrated as Lohri & Maghi. Gujarati’s not only look reverentially up to the sun, but also offer thousands of their colorful oblations in the form of beautiful kites all over the skyline. 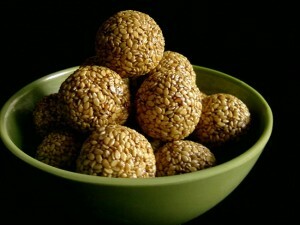 Gur/Jaggery and Til/Sesame seeds are one of the main ingredients used for making sweet dishes on this festival. Different recipes are made all over India ranging from lip-smacking sweet and savory dishes. I remember pouring in popcorn into the special bonfire lit up every year on the occasion of Lohri and shoving in raw potatoes and sweet potatoes in the fire once it was about to subside. For the delicious potato chats, we made with those firewood roasted potatoes! Here is my collection of personally tried and experimented special dishes this year for Makar Sakranti. So put on your chef’s hat and exhibit your cooking skills! Mix jaggery in little luke warm water. The amount of water should be just enough to soak the jaggery and make syrup of soft ball consistency. Combine the popcorn and jaggery syrup and mix very well. You will need: Gram flour/besan, chopped onions, Fenugreek leaves, Grated Ginger, Carom seeds (ajwain), chilli powder, salt, beaten sour yogurt, turmeric powder, fenugreek seeds, spinach leaves. Blanch spinach leaves in hot water for 4-5 minutes and chop. Heat oil in a pan add, and carom seeds (ajwain), sauté chopped spinach for 1 minute and keep it aside. For the curd batter/kadhi: Whisk the yogurt well. Add the gram flour and whisk thoroughly till smooth. Add the turmeric powder, salt and three cups of water and mix well. Heat oil in a non-stick pan and add the fenugreek seeds, cumin seeds, red chilies, salt, ginger and sauté for a minute. Stir in the yogurt mixture, bring to a boil and cook on low heat for about fifteen to twenty minutes, stirring occasionally. Add chili powder and sautéed spinach, and continue to simmer for two to three minutes. You will need lightly roasted sesame seeds, jaggery, dried and grated coconut, cardamom powder. Grind lightly roasted sesame seeds and jaggery to a coarse mixture using a mixer or a mortar and pestle. Transfer the mixture onto a plate, add dried coconut and green cardamom powder and mix well. Heat a non-stick pan; add clarified butter and jaggery, and cook till the syrup attains a soft-ball consistency. Add the puffed rice and mix. Divide into equal portions and shape into balls. You will need- milk, grated bottle gourd, mixed chopped nuts, dates syrup, cardamom powder. Grease an aluminum tray with sufficient ghee. Boil milk in a deep non-stick pan. Add grated bottle gourd and mix, cook till its volume becomes half and mixture becomes thick. Add half the chopped nuts and dates syrup. Mix well and cook for five to ten minutes. Remove from heat, pour into the greased tray and spread evenly. Sprinkle cardamom powder and remaining chopped nuts and set aside for an hour. Cut into desired shapes and serve. You will need: roasted sesame seeds, clarified butter (ghee) and jaggery. Heat clarified butter in the deep non-stick pan, add jaggery, mix well and cook on a medium flame for 3 minutes while stirring continuously. Switch off the flame, add the roasted sesame seeds and mix very well. When the mixture is ready, put the entire mixture over the back of a greased plate or a smooth stone surface. Roll it out thinly into a circle using a greased rolling pin. Cut them into square pieces using a sharp knife. Once cooled, store in an air-tight container. 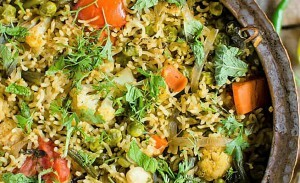 You will need: beaten rice (chiwra), mustard seeds, chopped onion, slit green chilies, mixed sprouts lightly steamed, turmeric powder, salt, lemon juice, chopped coriander for garnishing. Place beat rice (chiwra) in a sieve and wash lightly. Drain and leave aside for 10 minutes. Heat the oil in a non-stick pan and add the mustard seeds. Add onions and green chilies and sauté on a medium flame for a few minutes or till the onion turn light brown in color. Add steamed mixed sprouts and sauté on a medium flame for 1 to 2 minutes. Add the turmeric powder and salt. Mix well and cook on a medium flame for 1 minute. Add water, mix well and cook on a medium flame for 1 to 2 minutes. Add soaked and drained beaten rice (chiwra), lemon juice and mix well and cook on a medium flame for 1 to 2 minutes, while stirring continuously. You will need Mustard leaves, spinach, fenugreek leaves, finely chopped onions, finely chopped tomatoes, chopped ginger, ginger garlic paste, mustard seeds, salt. Wash the mustard leaves, spinach, fenugreek leaves and chop them finely. Add chopped ginger and pressure cook it for 45 minutes. Remove and grind the greens till it is well mixed. Add salt. Cook again over low heat. -Serve hot with a tempering of mustard seeds and ginger garlic paste. Mix all ingredients together and make a soft dough with water. Make flat and round breads or chapattis, grill them on a hot flat pan/tava till they turn golden brown and evenly cooked from all sides. Serve hot with white butter, Sarson ka saag and jaggery! Cook cumin seed, mustard seed, peppercorns, and asafoetida in hot oil for 2 minutes. Stir the lentils into the mixture and cook another 2 minutes. Add rice, grated coconut, green chili, turmeric, salt, and water and stir. Close the lid of the pressure cooker and slow cook about 35 minutes. Relieve the pressure from the cooker; stir the cashews into the mixture. Garnish with shredded coconut and serve. Hope you will relish these recipes this Makar Sankranti!